Salvador Molly’s is a family restaurant in SW Portland and is a client of mine. 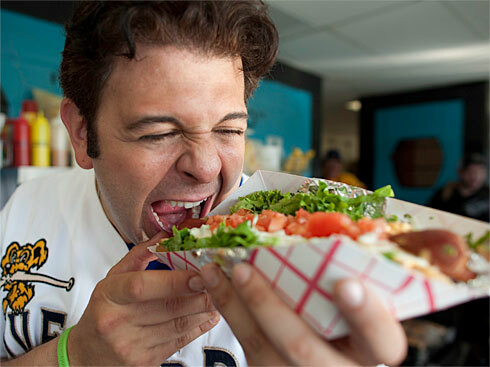 Owned by Rick Sadle and his daughter Darrielle, their fan base kicked up several notches when Adam Richman took the Great Balls of Fire challenge, for his popular TV show Man V Food. It remains one of the most highly-aired episodes and has made Salvador Molly’s a tourist destination on the foodie checklist. The theme of the restaurant is a “World of Travels”in both the food and the decor. You can order Thai, Mexican, Cuban and Ethiopian cuisine (to name a few) all from the same menu and there are photographs & cultural items throughout, the owner’s personal souvenirs from his travels. Rick has become an amazing photographer in recent years, and his movie-making skills are close behind. Love this use of video to capture his recent trip to Havana – he is a world observer and thoroughly loves to bring these experiences and food back to his restaurant. His passion in life translates to the restaurant he started and his absolute authentic love for sharing these travels is one of the reasons the restaurant does so well.